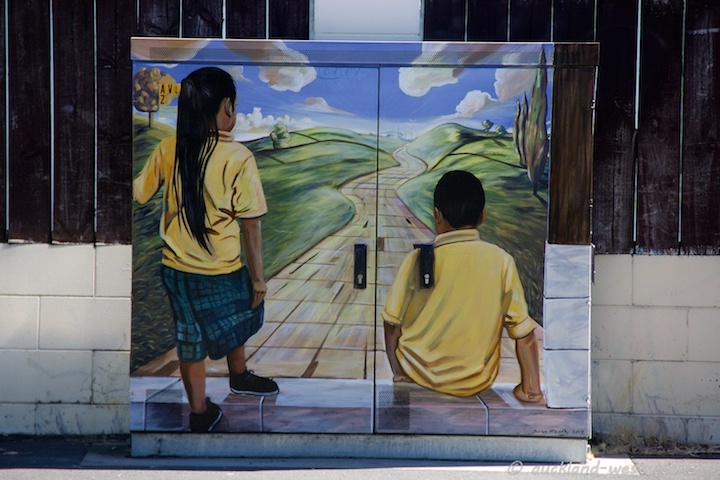 This box is in Blockhouse Bay Road, by the intersection with Miranda Street, and opposite of Glenavon School. Children – wearing Glenavon school uniform – in contemplation of their promised land, to be reached with the odd kink along the way. Painted by Sean McCarthy.